Jurgen Klopp paid tribute to Rafa Camacho and “the most important challenge of his life” against Crystal Palace. Liverpool maintained their four-point lead at the top of the Premier League table on Saturday but were made to earn their 4-3 victory over Palace. The Reds came from behind to beat the relegation battlers at Anfield, with James Milner’s late red card leading to an uncomfortable final few minutes. Camacho was introduced in the third minute of stoppage time, with Max Meyer halving the deficit a minute later. But Camacho’s intervention prevented a Palace equaliser when he tackled Zaha in the Liverpool penalty area in the dying stages. “It is a really difficult problem,” said Klopp of his ever-decreasing options at right-back. “I can imagine what people think about this situation but you have to make decisions in moments when decisions are on the table. “That’s why Clyney is not here anymore. In that moment we had plenty of options and now we don’t have them. That’s how it is in our next games. Klopp again dismissed the idea he would be signing someone to fill in this month. “Tell me a player who can play right-back and other positions as well or better than our boys like Rafa can do? “Crystal Palace, of course, had three goalkeepers and all is fine and then the next moment you stand there with one. Do you buy another goalkeeper? I’m not sure. On Camacho, whose well-timed tackle on Zaha brought the game to a close, Klopp added: “I told him immediately after the game that he’d already made the most important challenge of his life. 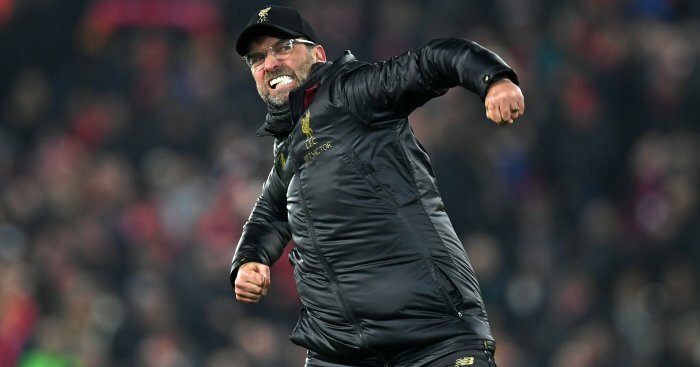 The post Jurgen Klopp pays tribute to Liverpool defensive saviour appeared first on teamtalk.com.